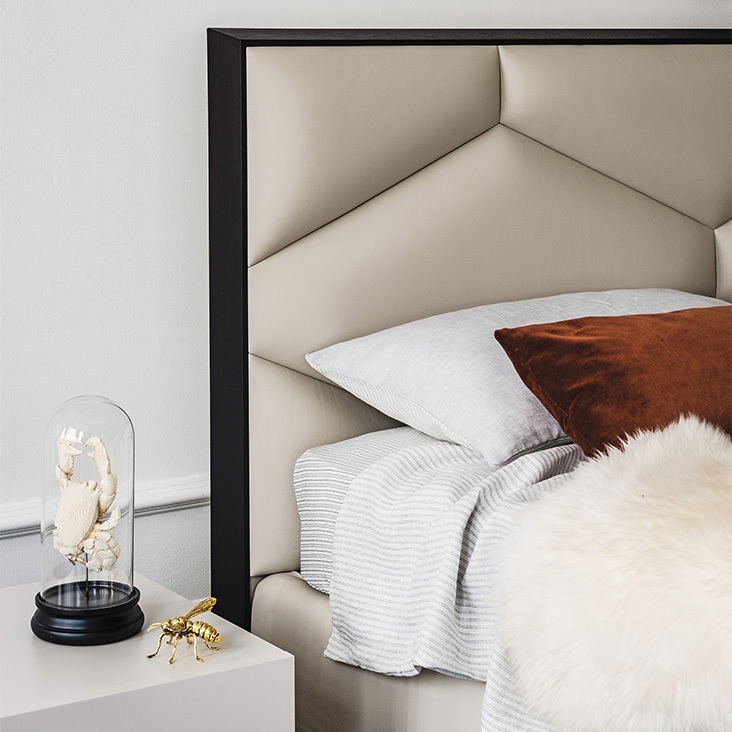 Geometric design for this double bed signed by Cattelan Italia. Entirely coated in leather or pleather with details in Canaletto walnut wood or burned oak. In modern or classic bedrooms Edward beds likes a lot.